The Israel Land Development Company (ILDC) is one of the owners (60%) of an office building known as the Kalka House, at 116 Menachem Begin Road, Tel Aviv. The total area of Kalka house is around 10,000 sqm. Kalka House is located near the Tel-Aviv Government Campus, the Azrieli Towers and the Sharona business and leisure compound. 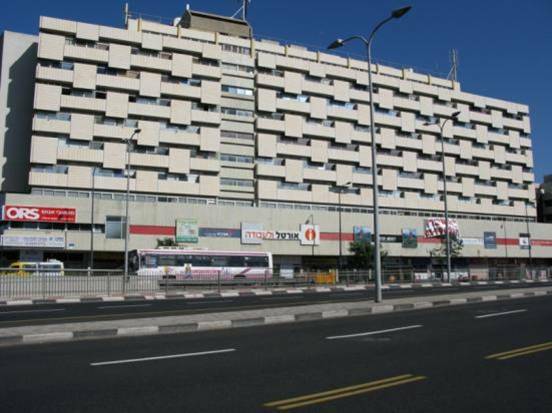 Menachem Begin Road is a major thoroughfare, with access to existing public transport routes (railway station, bus stops and Ayalon Highway) and the planned light rail, whose construction has already begun. Future Planning- A project consists of an office and residential building of approximately 45,000 sqm total area and commercial areas of approximately 1,500 sqm above an underground parking lot with 450 parking spaces. ILDC holds 60% of the project.